I dream of a home with a wrap around front porch. and watching the kids play. but that should not stop me from enjoying and decorating it, right? 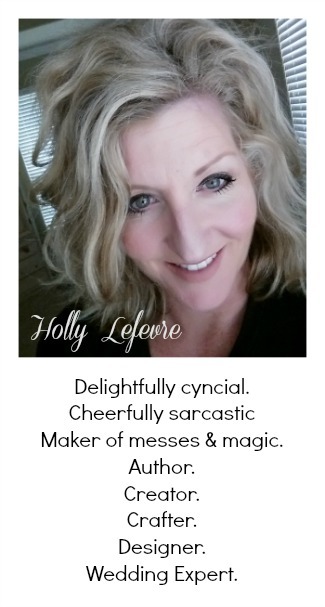 I am so please today to have a guest to give me (us) some inspiration! Jessica Phan is a designer for Balsamhill.com, and she has some great tips and ideas for your front porch during these cold days! The holidays may be officially over, but the cold days of winter are here to stay – for the next couple of months, at least. 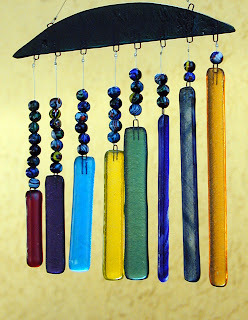 Hang a colorful wall art. Welcome guests to your home by placing a vibrant piece of art on your front porch. It can be as simple as a welcome sign or as elaborate as a winter wonderland scene that you painted. 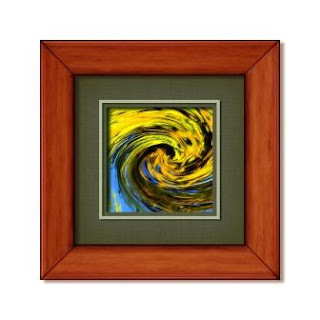 Hang your artwork near the door for your guests to see and to break the monotony of a gray weather. Use a decorative outdoor floor mat. Great for wiping off dirt, ice or water from shoes, outdoor floor mats also make for pretty front porch decorations. Choose a waterhog floor mat in bright colors to leave winter shoe mess outdoors and to give your front porch a delightful splash of color. Cover porch furniture with warm-colored fabrics. 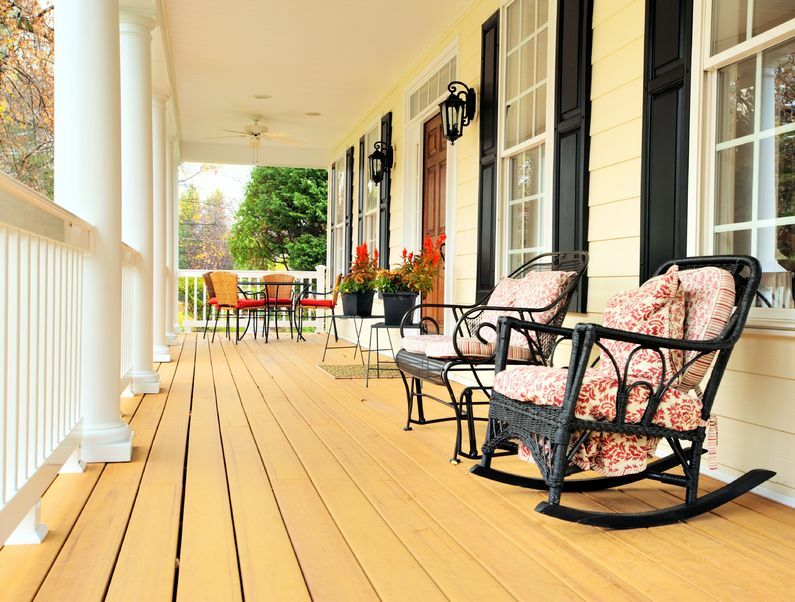 Front porches can be enjoyed even during winter by making some tweaks on your décor. Make yourself and your guests as cozy as possible by layering fabrics over porch furniture. Cover your swing or bench with a colorful plaid blanket or quilt and throw some cushions for a nice touch. The furniture covers should be able to withstand the chilly winter days but still be comfortable enough for everyone to rest on when the weather is warm. Prop up winter sports gear near the door. Don't let the cold weather get you cooped up inside your home. 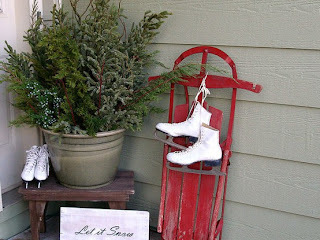 By placing old sleds or snowshoes near the entrance, you are reminded of all the fun you can have outdoors. Display winter wreaths and garlands. Although you have taken down most of your Christmas décor, you can leave the wreaths and garlands on the door for a colorful front porch decoration. Real or faux, wreaths and garlands bring a rustic vibe to homes. Evergreens look stunning on any door or window, but you can also choose artificial berries on grapevine for a countryside appeal. Highlight the beauty of your front porch design with lighting. Ambient outdoor lighting makes a huge difference on the appearance of your front porch at night. 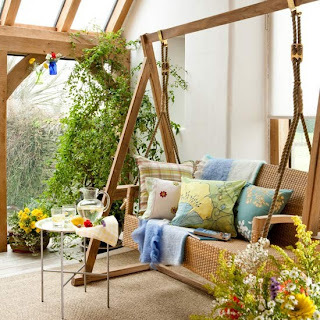 It makes your home appear cozy and inviting. 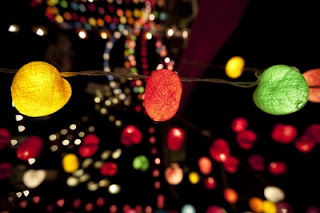 To illuminate your front porch, hang lanterns on a clothesline or drape mini lights on porch railings. Make sure that your lights are approved for outdoor use. Add a sound element to your front porch design. Outdoor home decorating is not all about visuals. 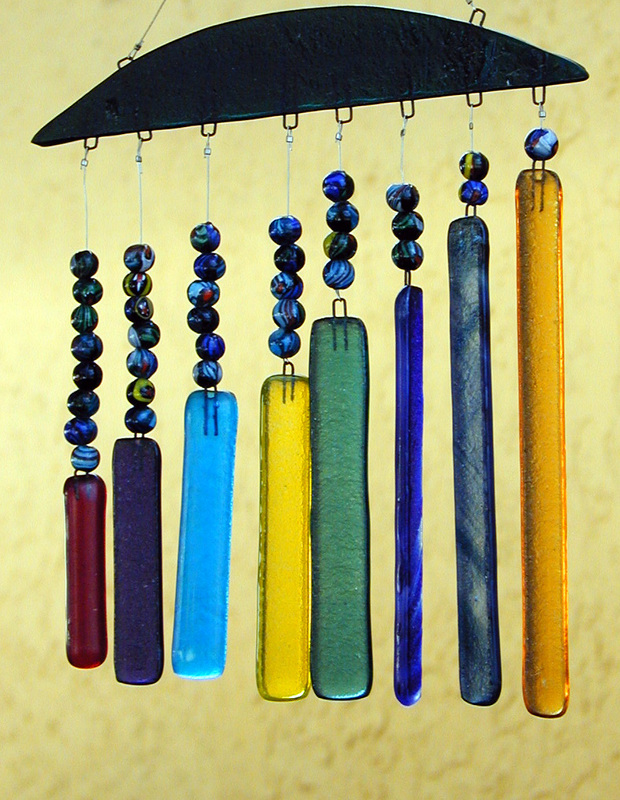 A subtle sound like the tinkle of wind chimes or the clanging of bells makes a front porch even more enticing. The chilly winter air and snow-covered outdoors bring a dreary atmosphere to homes. 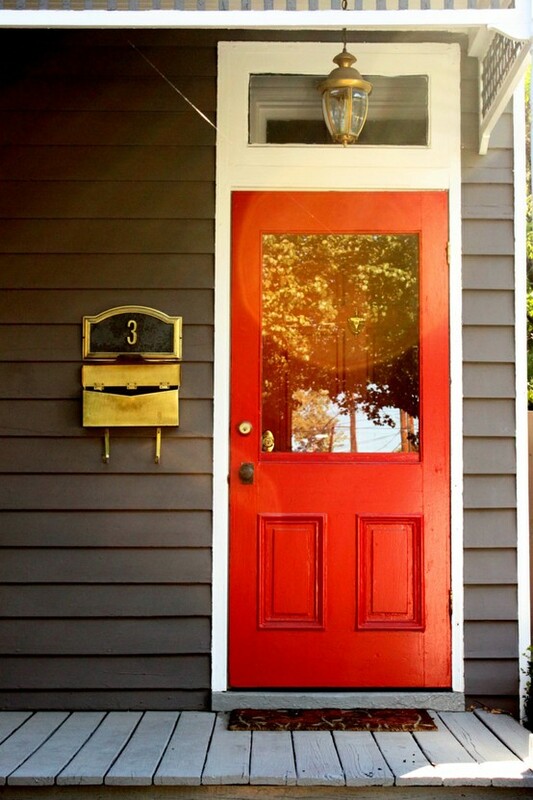 Combat the winter blues and the monotony of the landscape by painting your door in vibrant shades of reds or greens. The change in appearance of your entryway boosts not only your mood, but the overall look of your front porch as well. Highlight your greenery and blooms. The cold winter days may be unforgiving on vegetation, but some plants thrive during the chilly season. 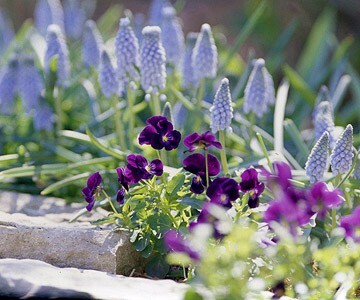 Winter-blooming perennials like daphne, winter jasmine, hellebore (Christmas rose), pansies, winter creepers and primula give life to an otherwise dull winter landscape. Plant them on small containers or window boxes to give your front porch a splash of color. 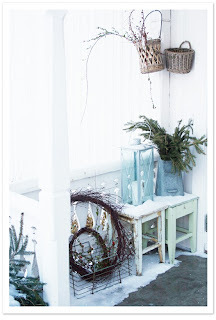 Create an outdoor winter vignette. 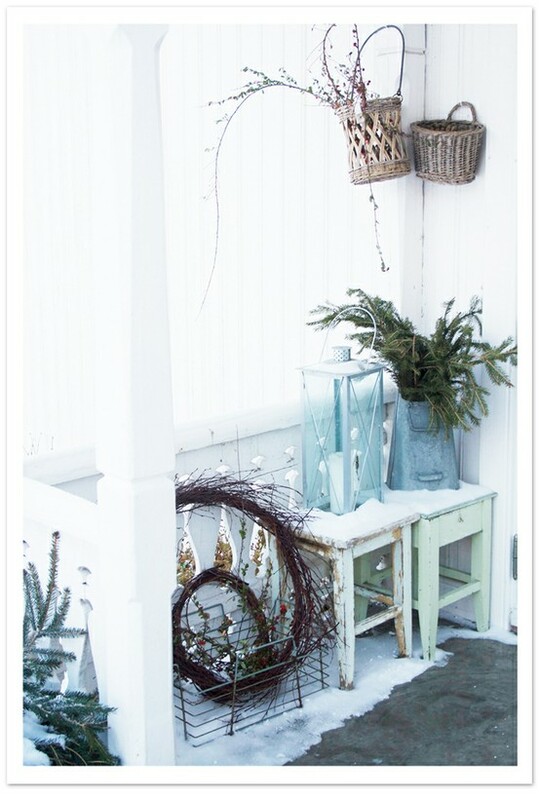 Put old tables and benches to good use by placing various winter items and baubles over them to create a winter vignette. Spread evergreen on the table and bench. Bring out unused clear vases and fill them with artificial snow and snowflakes. 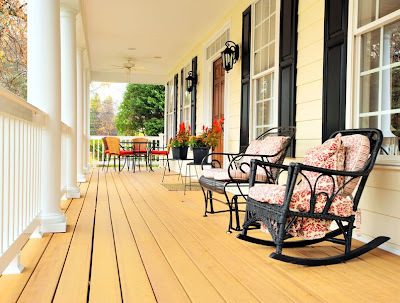 Your front porch is the first thing that greets your guests when they come and visit your home. Make it as enticing as it can be by updating your décor to reflect the winter season. Thank you to Jessica and Balsam Hill for sharing these tips! Jessica Phan is a designer for Balsamhill.com a purveyor of high-end artificial Christmas Trees. Living in the San Francisco Bay Area is perfect for her because she has a wide range of interests, including Art & Design, Fashion, Photography, Painting and Thrift Store Shopping. All images (other than top porch image) were supplied and sourced by Balsam Hill and all content was provided by the company. No compensation was provided. They just don't do porches in the UK, and I remember them so fondly from growing up; in Canada. If I ever build my own house, it will have a huge wrap around porch! 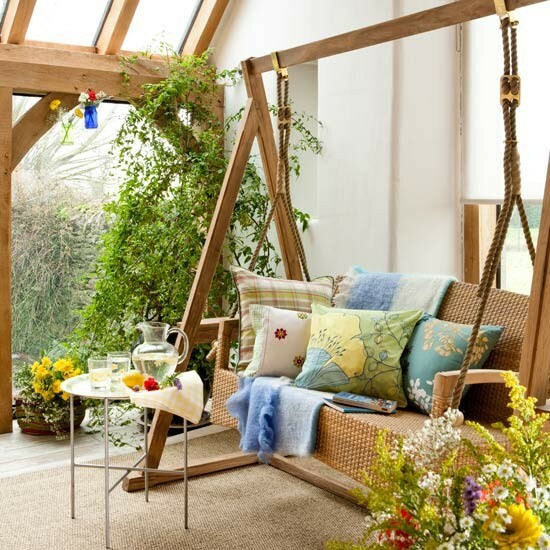 There are some lovely, cosy ideas from my someday porch here - thank you for sharing them. We're just starting to sort out our back porch (no front porch!!) this week - so I'm loving this post!! So full of yumminess! Those are all gorgeous ideas. I really need to "repaint" my door! Good weekend to do it, thanks for the reminder! Oh! How I would love a porch or a deck. We don't have either. These pictures are awesome. I wish I had a wrap around porch. I'll keep dreaming~maybe someday.